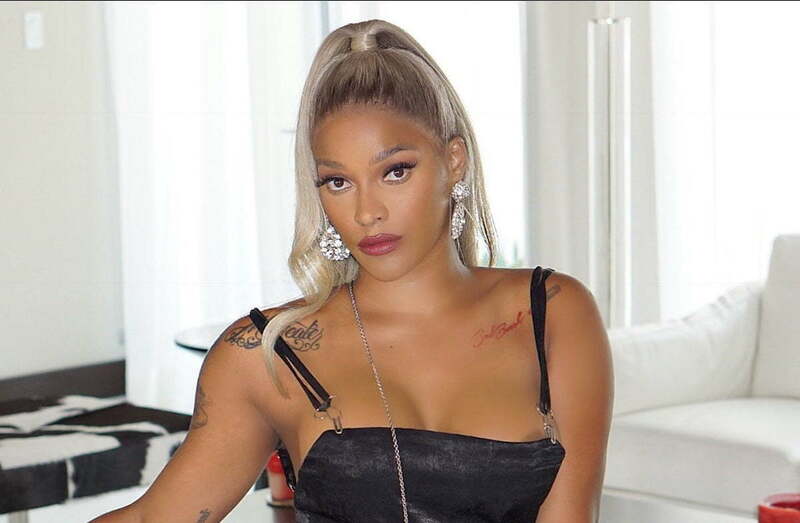 Former Love and Hip Hop: Atlanta star Joseline Hernandez has joined Azealia Banks to blast Nicki Minaj. It seems everyone is coming for Nicki Minaj today (Thursday July 5) and her fans, aka Barbz, are rolling up their sleeves for a fight. First it was Harlem rapper Azealia Banks who took to Twitter to blast Nicki for dressing up as a mermaid in her new music video “Bed.” Joseline Hernandez chimed in saying that she agrees with Banks assessment of the Young Money rapper. Azealia Banks went a step further to call Nicki Minaj washup, saying that Cardi B outshines her this year and that her reign in hip hop is over. The Barbz are already on the attack and this seems like it will last for days. “Girl Stevie got Bonnie Bella on national tv with her toes hanging over her Sandals, sis you got bigger fish to fry,” one of her fans wrote. “I’m sorry who are you again? Nicki is selling and doing fine while you gang up and try and diss.. Welp, I wish you all the best babe you truly need it all,” another fan added.